When we speak to potential clients, it’s a question that often comes up and we may be biased but there are some negative and very real effects of ignoring the need to digitise. Questioning whether you need to go digital with your document management is a completely reasonable thing to do. After all, you don’t want to spend costs on something unnecessary for your business. But here are five consequences you could suffer if you stick with an unreliable and inefficient manual document management system. Digitising documents can sometimes be seen as quite a sizable investment (depending on the size of the project), but by continuing to manage documents manually you are actually draining the budget a lot more. Costs of paper, printing and storage can rack up without you even realising. 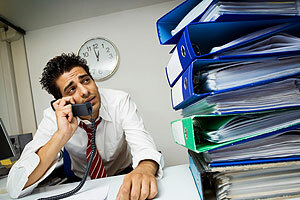 Do you remember what your office looked like before you started to file documents in every crevice? Probably not. And you never will if you continue to store files manually because that space will just continue to shrink under the domineering shadows of filing cabinets, boxes and folders. As I’ve said in blog posts before, paper documents are susceptible to loss, theft and damage especially in an unmanageable system. 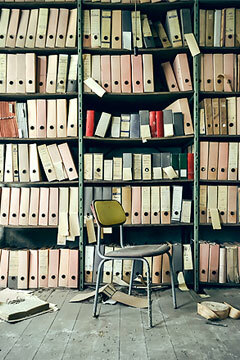 If your documents do get lost, stolen or damaged beyond repair, you could also risk fines for breaking compliance laws. Dealing with manually indexed documents is a slow process. When you need to find a specific document, even if it is correctly filed, you will still need to spend a lot of time searching in filing cabinets for it. Businesses who store documents off-site have even slower processes with file retrieval times of closer to days rather than hours. While you may not feel the effect of your company having a high carbon footprint, it won’t be doing a whole lot of good for the planet not to mention your reputation. For the past twenty years or so, companies and individuals have been encouraged to be more aware of their carbon footprints by reducing the amount of paper, inks etc they use on a daily basis. Manual document management uses a great deal of paper and often leaves you with no option but to print and photocopy documents on a regular basis which will do nothing for your green credentials. Going digital can solve all of these issues which you may not even have realised you were heading towards (or sometimes even experiencing). It can help you save money, space and time as well as boosting your green credentials and protecting you from compliance issues. Convinced yet? If you’re erring on the side of caution because you’re worried about the amount of work involved in going digital, you don’t need to worry, we are here to help. Here at Pearl Scan, we provide a bespoke and complete document scanning service where we handle the entire process from collection of documents right down to dealing with them once the digital files have been delivered. We also provide optional extras including OCR processing, image management software and cloud storage. If you would like some more information about our document scanning solutions, give us a call or browse our website and blogs.